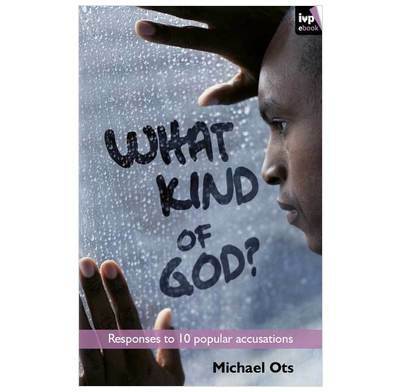 Ten warm and honest responses to common questions about God. This book started life as a series of lunchtime talks to non-Christians, and the author has taken on board further questions and discussions along the way. Here is an attempt to answer real, and often difficult, questions honestly. 1 Distant, uninterested and silent? What kind of God doesn’t make himself clearer? 2 Outdated, out of touch and old-fashioned? What kind of God is still relevant? What kind of God doesn’t prevent suffering? What kind of God doesn’t care about his creation? What kind of God allows violence in his name? What kind of God lets the church represent him? 7 Petty, intolerant and exclusive? What kind of God allows only one way? 8 Repressive, restrictive and restraining? What kind of God would limit my sexuality? 9 Condemning, unjust and arbitrary? What kind of God sends sincere people to hell? 10 ‘Vicious, sadomasochistic and repellent’? What kind of God would send his Son to die? What kind of person would reject a God so good?